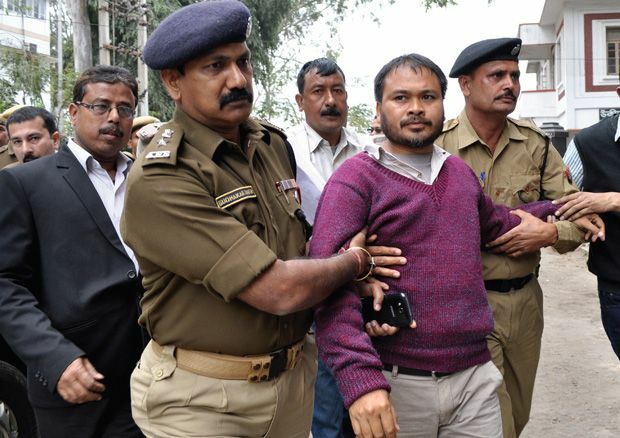 A day after firebrand peasant leader Akhil Gogoi got a breather from Gauhati High Court from his detention under National Security Act (NSA), the Krishak Mukti Sangram Samiti (KMSS) supremo was arrested on Saturday morning by Dudhnoi police in a separate case. A case no 112/ 17 U/s -143/147/437/120(B) of PDPPA act 1984 was registered aganist Akhil Gogoi at Dudhnoi police station. Gogoi on Friday was granted bail against his sedation case at Moran. A case (no 180/17) was registered against the KMSS leader at the Moran police station under seven separate sections of the Indian Penal Code including three non-bailable charges. A team of Dudhnoi police led by inspector Swapan Kumar Roy arrived in Dibrugarh on Friday to arrest him but due to the hectic journey, they arrested Gogoi on Saturday morning. Swapan Kumar Roy is the investigating officer of the case. Akhil Gogoi was named in the FIR after members of the KMSS and its students wing Chatra Mukti Sangram Samiti defaced the name of the Deendayal Upadhyaya Model College at Dudhnoi with black paint after it was inaugurated by State Education Minister Himanta Biswa Sarma. He has been taken to Dudhnoi police station. Immediately after his arrest, thousands of his KMSS supporters hit the streets in protest against his arrest. However, Dibrugarh police immediately sung into action and detained the supporters at Dibrugarh police station. Talking to NE Now, Bedanta Lashkar, advisor of KMSS said, “We are very much satisfied with Guwahati High court ordered and he was freed from NSA Act and tomorrow he was granted bail from the sedation case. When the BJP knew that Akhil Gogoi will be free then they instructed the Dudhnoi police to arrest him again. Today Akhil Gogoi was arrested by Dudhnoi police at 7 am and taken into their custody for further investigation regarding the case of Dudhnoi”. He also said around two hundred of their supporters were detained by Dibrugarh police on Saturday. Meanwhile, prominent lawyer, activist and politician, Prashant Bhushan tweeted: Anti-corruption activist Akhil Gogoi who campaigned against the BJP government, was arrested for sedition. Even after his detention is quashed by the HC, he is to be rearrested! While murderers & scamsters are let off, anti-corruption activists are victimized!